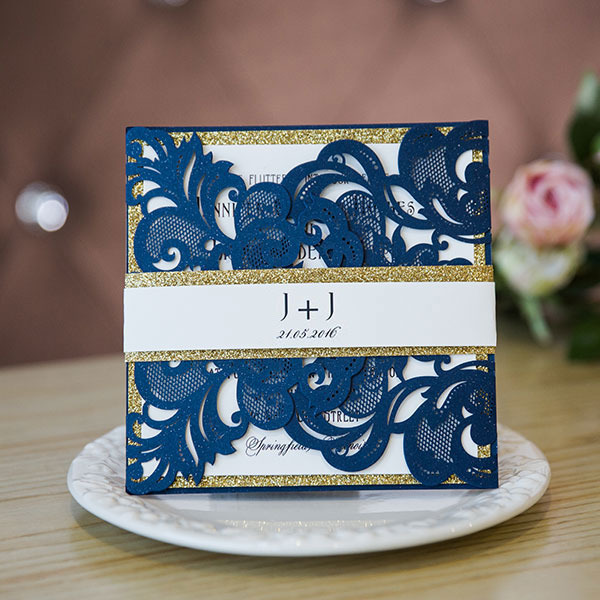 Brides love blue shades especially the navy blue color, which has been the top wedding color for several years. It is a bold neutral that goes with just any wedding. It is timeless and elegant and looks spectacular with gold, silver, blush, ivory and green, and many other popular wedding shades. If you’re going for classic elegance, navy blue is a smart and sophisticated choice. Need ideas for pairing navy blue? 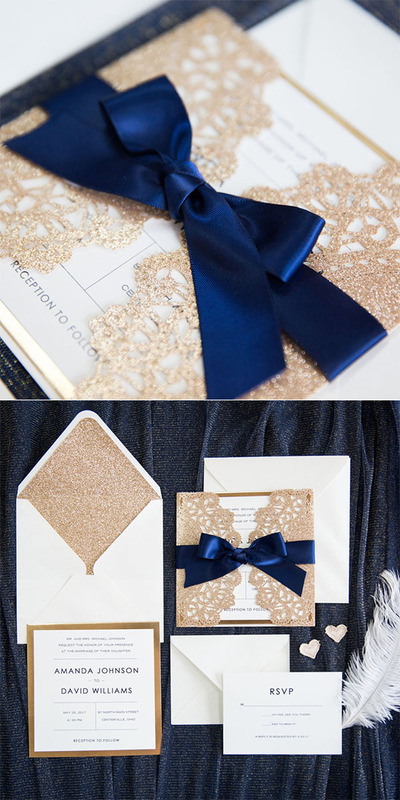 Here we show you 7 navy color combos we love! 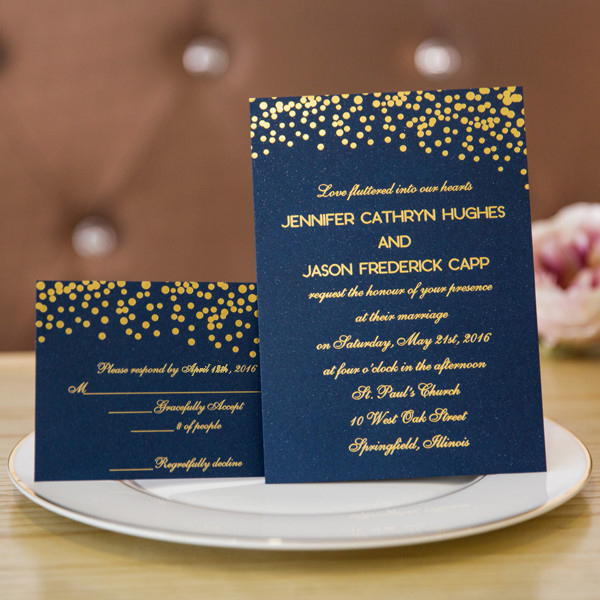 With each color combo, we have introduced several wonderfully matching wedding invitations from Elegant Wedding Invites. Check now and get inspired! 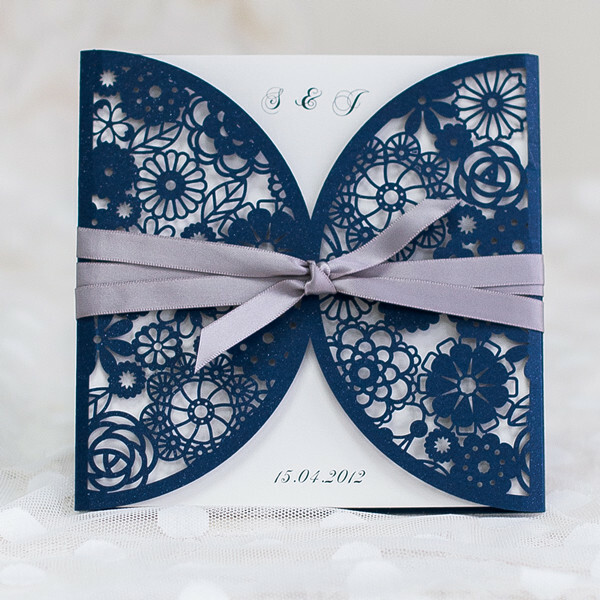 This entry was posted in Blue Wedding Colors, blue wedding invitations, Wedding Color Palette and tagged blue wedding invitations, navy blue wedding colors. Bookmark the permalink.